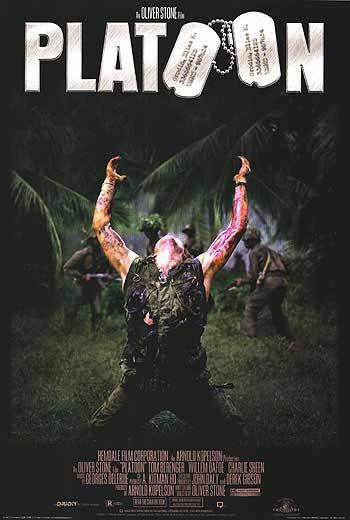 Platoon is a 1986 Oliver Stone film about the horror of wars and duality of man for a young soldier in the Vietnam War, starring the always amazing Tom Berenger (or since this is a baseball site, you may know him better as Jake Taylor of the Cleveland Indians). Sadly, I cannot say that I have seen the movie, but perhaps I should. I did enjoy another Tom Berenger soldier movie called Sniper where ***SPOILER ALERT*** his character was a sniper. But I just like sniper movies in general. Don’t worry though, I am not some guy who is gung ho about firearms. Instead, they actually frighten me quite much. I am just a camping sniper when I play Call of Duty so these sniper movies fascinate me. But back to the topic that I am here to talk about. The platoon that we need to be talking about here is a situation in baseball where two players share the same position on the same team and split time in the lineup at that position. The most common usage for a platoon by baseball managers is to use a right-handed hitter at a position when there is a left-handed opposing starting pitcher on the mound, and to use a left-handed hitter at that same position when there is a right-handed opposing starting pitcher on the mound. The reasoning for this is that the majority of hitters have more success versus pitchers of the opposite handedness. There are various reasons that would seem to back up this fact, some of which include that versus pitchers of the same handedness, breaking pitches break away from the batter which a lot of players have difficulties with, and hitters tend to have an easier time seeing the ball come out of the hand of a pitcher of opposite handedness. The extreme to which a player is better versus one-handedness than the other varies from player to player, and some may even have “reverse splits” where they are actually better against same handed pitching. But generally speaking, hitters are more successful versus opposite handed pitching and this is something that is exploitable in fantasy baseball. Players that are part of a platoon situation obviously are not going to play every day, which often leads to season long fantasy owners to turn their heads in another direction when drafting or perusing the waiver wire looking for that extra bench bat or to replace an injured player. However, I am here to tell you that utilizing these types of platoon players in fantasy baseball can be very savvy, if used correctly, and can provide a ton of positive value. However, it does depend on your league type to fully implement this strategy at its optimum.